John Maynard Smith, one of our most eminent evolutionary biologists and scientific communicators originally trained as an engineer and spent the war years designing aircraft. He describes the way that flight developed in the animal kingdom. 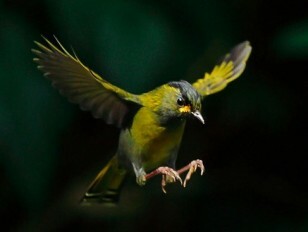 The fossil record indicates that the long tails which stabilised the flight of the first birds evolved into shorter, less stable, structures which allowed greater agility.